Darjeeling: The Bengal government will table a bill in the Assembly on Tuesday to set up Greenfield University in the Darjeeling hills whose academic calendar is different from that of the plains. Apart from the Greenfield University Bill, the government will table four other bills to establish new universities in the state. The four varsities are proposed for South Dinajpur, Murshidabad, East Midnapore and Alipurduar. Binay Tamang, the GTA head, said on Monday: "We are thankful to the honourable chief minister, Mamata Banerjee, and her cabinet for fulfilling the demand to set up a university in the Darjeeling hills. The bill will be placed in the Assembly tomorrow (Tuesday)." 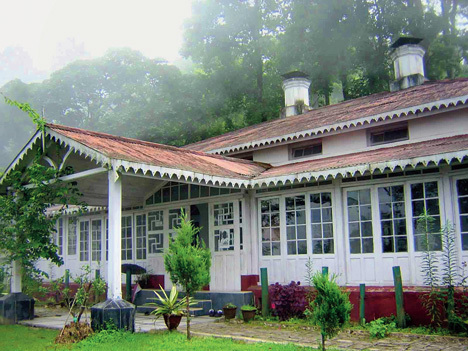 Greenfield University will come up at Mungpoo, a place that was once frequented by Rabindranath Tagore, which is situated about 30km from Darjeeling town. The district administration has identified 100 acres of land for the varsity at Jogighat in Mungpoo. According to sources, apart from regular subjects, there are plans to introduce subjects like management studies on tea, forestry, mountaineering and earth studies. Tamang said the demand for a varsity for the hills had been first raised in 1955 with Darjeeling municipality adopting a resolution and placing it before the state government. "The North Bengal University was set up in 1962 and even though it came up in Darjeeling district, it is located near Siliguri. The demand was to have a university for the Darjeeling hills." This is largely because the academic calendar in the hills is different from that of the plains. The hill curriculum calendar starts from March and ends in November. "After assuming charge of GTA in September 2017, we repeatedly made an appeal for the university," said Tamang who hit out at the successive governments at the Centre. "When the GTA agreement was signed, the Congress government at the Centre agreed to look into the demand for the varsity and made a mention of it in annexure II of the GTA agreement. The BJP government did nothing on this front apart from making it an election issue," said Tamang.